Teresa Perosa is a graduate student at the School of International and Public Affairs (SIPA) at Columbia University. 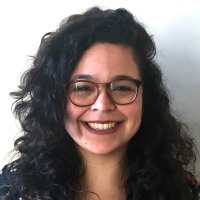 After working for six years as a journalist covering world affairs based in her hometown of São Paulo, Brazil, she is pursuing a master's degree in international affairs, concentrating in human rights & humanitarian policy and specializing in gender and the Middle East. She worked as a special correspondent reporting from Colombia, Venezuela, the US, Egypt, Turkey, Jordan and the Occupied Palestinian Territories. Her work on the Za'atari Refugee Camp, in northern Jordan, was awarded at the International Red Cross Humanitarian Journalism Prize in 2017. At SIPA, she is President of the Gender Policy Working Group (GPWG), a student-based organization which aims to foster the debate on gender in the different areas of policy, and is the Communications Chair of the Human Rights Working Group (HRWG). Teresa holds a BA in Journalism from the University of São Paulo. Her interests include refugee and migration policy, gender, post-colonial and critical theory. After returning from her fellowship over the summer, Teresa discussed with AP the impacts the fellowship had on her. "Working on a CBO helped me to better understand the challenges of program design and implementation for refugees, especially in a hotspot on this issue, like Amman". What does the “zero-tolerance” policy for people crossing the southland border in the U.S.